A few of our Southern California, Arizona, and East Coast Play-Well Staff recently got together in San Diego for a LEGO Robotics training. 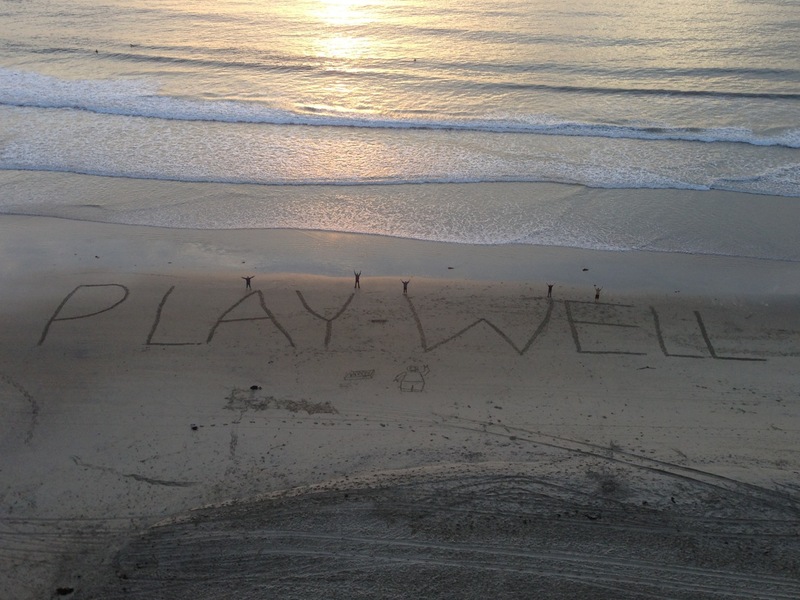 During their downtime from playing with LEGO, they decided to draw a 200 ft. Play-Well Sign in the sand at Pacific Beach. If you look closely, you can see the staff and a LEGO dude drawn in the sand. This is how we Play Well!